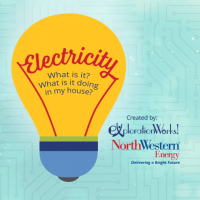 Leap into the world of electricity with our new exhibit! Make static electricity with a Van de Graaff generator, create electricity with a bike, and find out where the electricity in your house comes from... just to name a few. 10am to 5pm. Free with membership or paid daily admission.